Organised by Università di Parma (CSAC), Sapienza Università di Roma, Università di Salerno, IUAV. The origins of the Centro Studi e Archivio della Comunicazione (CSAC) of the University of Parma could be traced back to a series of exhibitions promoted since 1968 by Arturo Carlo Quintavalle, in the context of a reflection on the relationships between teaching art history at the university, and between a collection of ancient art – such as the one inside the National Gallery of Parma, and the contemporary artistic researches. A reflection on the statute and the history of exhibitions are therefore for CSAC a mean to reflect also on the role that a center and an archive can cover today, considering the size and structure it has reached in over 40 years. These premises are reinforced by the identification of exhibitions as a central field of investigation not only for art history, but also for cultural studies and for possible comparisons between different approaches. Also in Italy the initiatives dedicated to the study of some aspects of this phenomenon and its history have intensified, with a particular attention to the avant-garde art exhibitions and to those promoted by specific institutions like the Biennale di Venezia or the Quadriennale di Roma: this field remains however to be explored in many of his aspects. This conference, the first moment in a series of researches promoted by csac around exhibitions, wants to provide the opportunity for in-depth studies, starting from the researches presented so far, interacting and be sharing ideas between different cultural approaches. We are expecting relationships focusing on the Italian context, with appropriate and targeted international comparisons, taking mainly into account contemporary art exhibitions without ignoring exhibitions dedicated to other objects or problems, in particular if such events have been considered seminal or experimental for their communication and / or set-up choices. Exhibitions History: since the early contributions of Francis Haskell – who defined the exhibitions as one of the research areas of art history – until today, the ancient and contemporary art exhibitions have been investigated from different perspectives. We can then try to assess these researches through the analysis of the different interpretation proposals and through the verification of the interpretative tools elaborated until now for the different case studies. 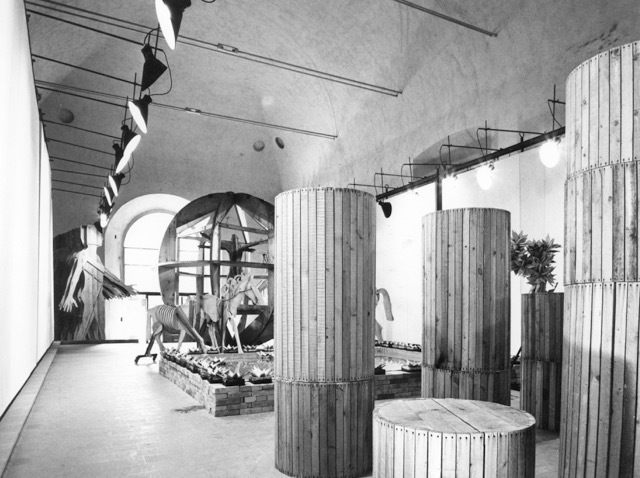 Work on display: the phenomenology of the artwork that only lives inside the time and space of the exhibition, as well as the change in the meaning attributed to the artwork, starting from different – synchronic and diachronic – exhibition projects, is the object of investigation of this section. 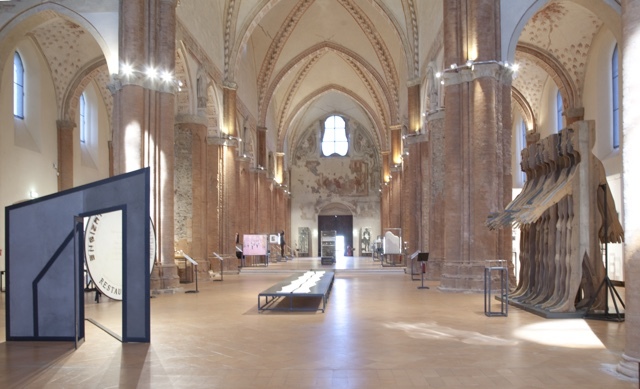 Exhibition design as a medium: one of the many component of the exhibition as a phenomenon is the construction of an itinerary, and its set up consists in the shaping of space and in the definition of a relationship between the artwork and the exhibition space. The exhibition design can be just a mere technical support for the preparation of spaces, can create a frame for the artwork, but it can also be an integral part of the artwork or of the set of artworks on display. The different curatorial practices and their relationship with the ‘critical writing’: Curating can be considered an authorial practice, or rather a visualization exercise at the service of the artwork? How the curator today relate himself with the different figures who participate to the exhibition system(museums, foundations, collectors, critics, gallerists…)? How curating influence the artistic practice, and how the curatorial practice configures itself when conducted by the artists themselves? Which research tools can we define, between visual and writing activities? How site-specific practices and the different kind of exhibition spaces (museums, galleries, urban places) have modified the curatorial activities. Reinterpreting the museum collections: How do we intervene today inside the museum space, which is becoming less and less a place for the creation and reinforcement of a canon and more and more a space for experimentation? Without restarting the now outdated debate upon the contrast between permanent collection and temporary exhibition, often defined as antithetical and nearly opposing moments, we believe it’s urgent to question ourself upon the transformations in the meaning of the museum collections, which have become the subject of rearrangements defined by an anti-chronological and thematic nature, with a temporary connotation. Keywords: design, contemporary art, communication, medium, exhibition, curating, permanent collections, installation, critic, museology and museography. Travel and accommodation expenses will not be refunded.